Small spaces can be somewhat demoralising to decorate, everything you see on Pinterest or in magazines seems designed for some huge, echoing loft space in Brooklyn and not for your uni dorm or tiny apartment in Hong Kong. Which is why I’m always on the lookout for new ways to store my clothes without taking up too much space. 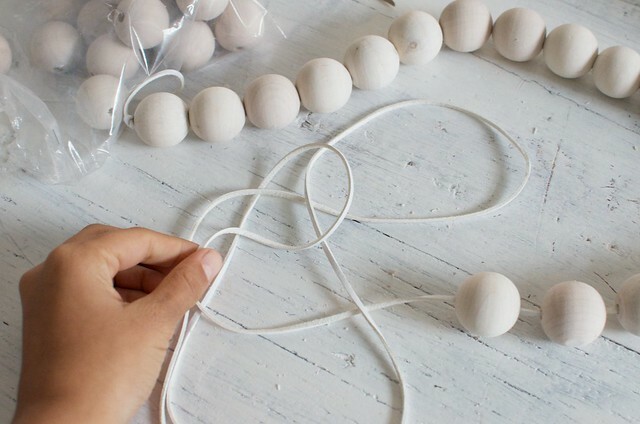 I’ve noticed all sorts of wooden beaded projects around and decided to have a go – my favourite thing about this project is that it keeps all your precious pieces nice and separate! 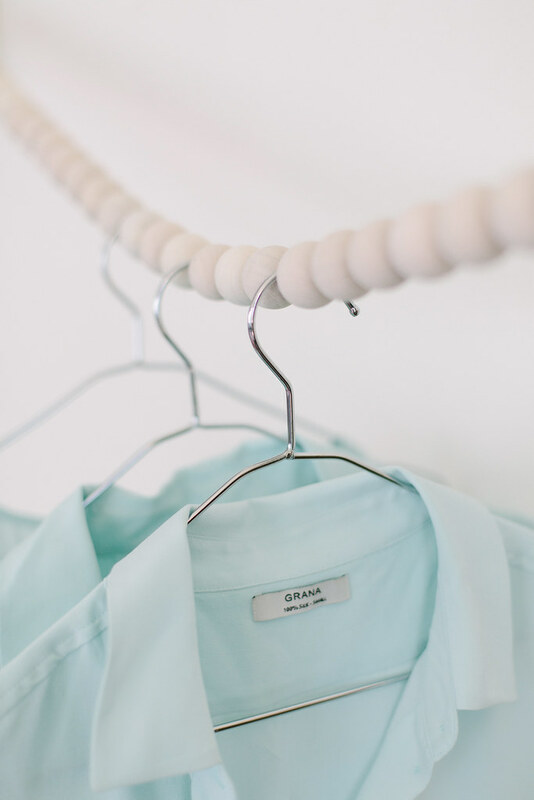 For those of you on the lookout for a few new pieces to fill up your beaded clothes rack or even add a bit of spring to your wardrobe, head on over to my friends at Grana and check out their collared silk shirts, made from the most supple silk around. What’s even better is that they won’t break your bank account, who doesn’t love quality at an affordable price? They’re now stocking these shirts in a sleeveless style as well as a long sleeved, both of which have become a staple in my closet. 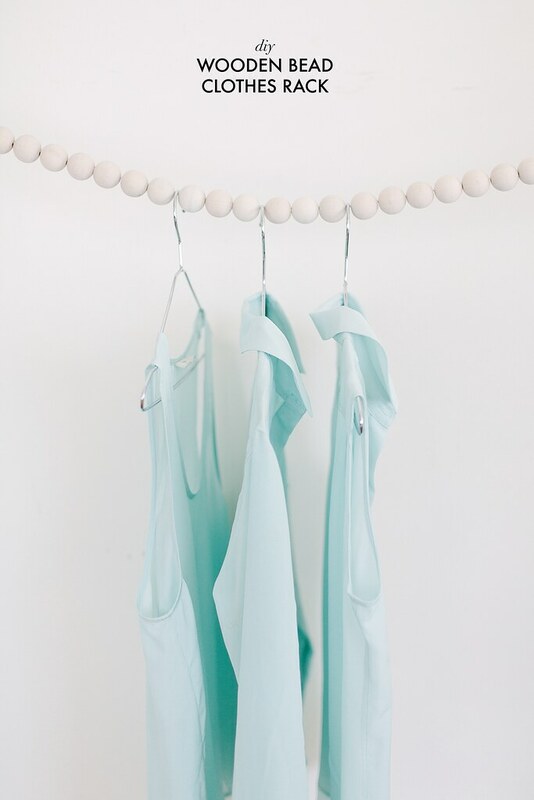 As you can see I’m a fan of that perfect mint shade (hello summer! ), but I’m currently also eyeing off the black and the blue. 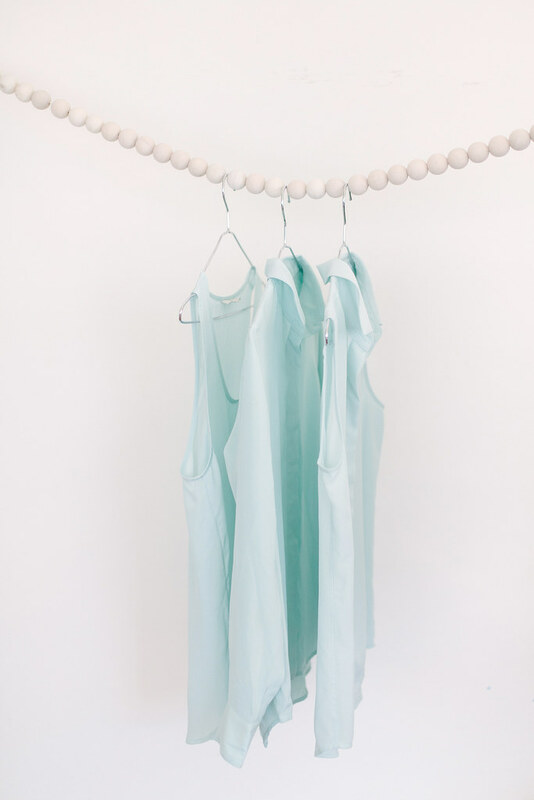 And just for you guys, Grana is giving free shipping on any purchase of their silk long sleeved and silk sleeveless shirts. Simply use the code ‘silk’ at checkout. 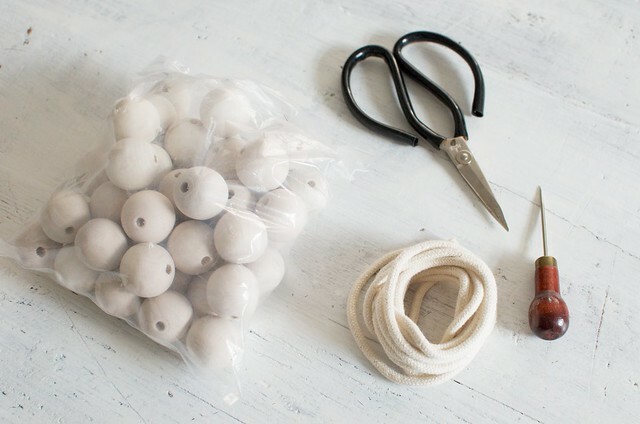 Measure your twine/rope out to match the size of the space you want to hang it in. String your beads onto the twine. 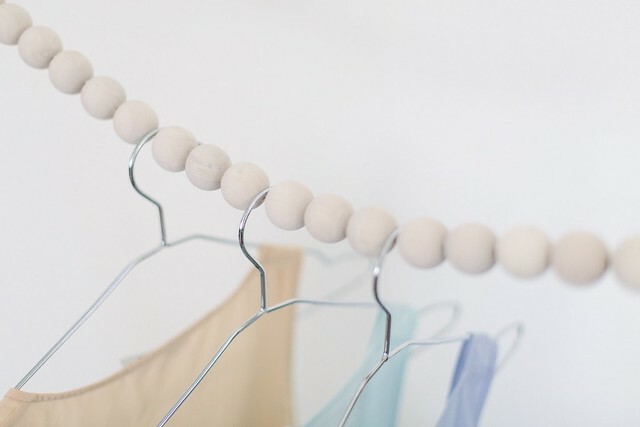 Hang the beaded rack in your space, making sure it’s tight enough to not sag in the middle when you add your clothes. 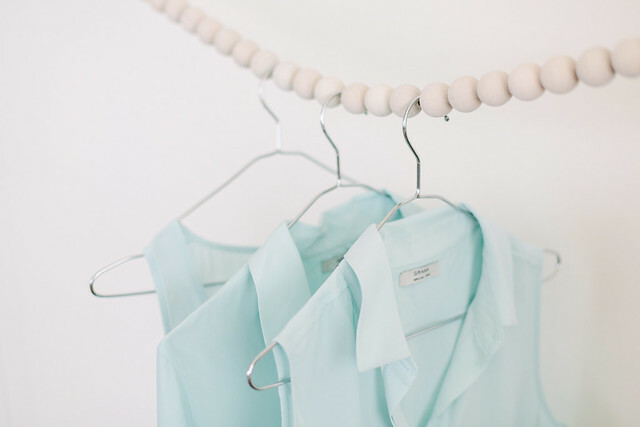 Ps… If you love cool clothing storage as much as I do see some other DIYs here, here and here.